Tel Aviv – August 6, 2018.Anagog Ltd. (www.anagog.com), developers of JedAI, the on-handset AI engine that uses on-device sensors to learn, predict and better engage the consumer based on their context and location and BIsense, the big data business analytics and location intelligence solution that delivers, analyzes, and compares foot-traffic information for any geographical area and business, based on anonymized data. 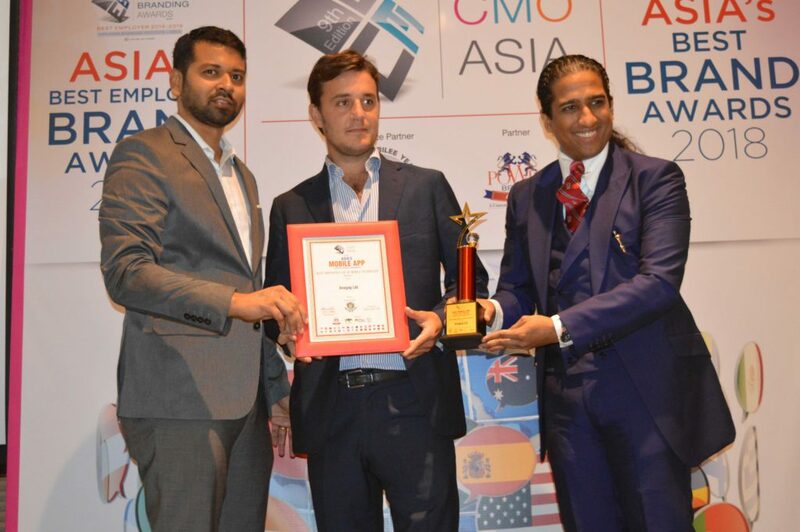 Won this past week the “Most Innovative Use of Mobile Technology” award under the Mobile App category at CMO Asia. The CMO Asia Awards was held in Singapore on July 31st, 2018 where industry leaders gathered to recognize top organizations and personnel that are making changes to the world we live in today. Anagog were recognized as industry leaders, innovating in the field of mobile technology.